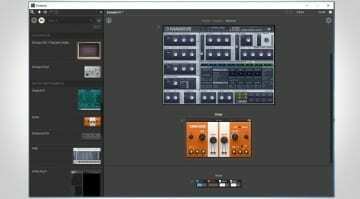 Sometimes you just want to play a virtual instrument, or mess around with a plug-in without having to boot up an entire DAW. 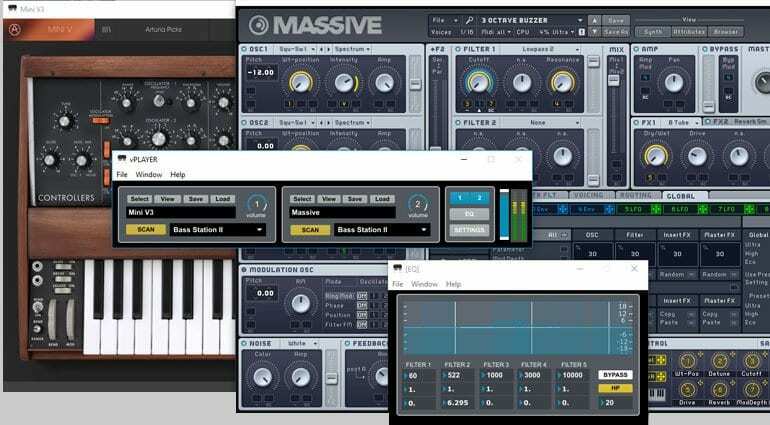 What you need is a simple VST Host. Digital Brain Instruments are offering a mini VST Host called vPlayer for the price of your precious email address. VST Hosts seemed to be a bit of a dead idea until FreeStyle from New Sonic Arts came along a few weeks ago. Then we realised that actually this is a really cool thing. 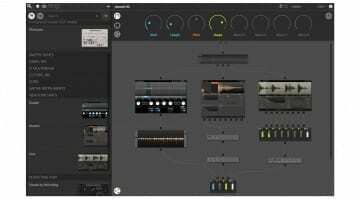 There have been old VST Hosts knocking around for decades but something new and updated was definitely overdue. vPlayer is much simpler than FreeStyle with the added bonus of being free. There are two slots into which you can load a plug-in. You can select your MIDI input and off you go. If you want to do a bit of input processing, maybe with guitar or voice, then you can allocate the audio routing in the setup window. Click the “view” button to bring up the GUI and you can also load and save presets if the plug-in supports it. However, lovely as this sounds I found vPlayer to be a trifle flaky. First of all you load plug-ins by browsing for their DLL file in your plug-ins folder. This is all a bit old school for a modern bit of software. Then I couldn’t get any sound out of it at all. Whatever plug-in I tried there was no output and no GUI appeared when I hit “view”. Then I browsed about to find some 32-bit plug-ins – aha, that’s the problem, it doesn’t support 64bit plug-ins. When I tried to add a second instrument I got no sound from that even though it was 32bit and the other loaded plug-in was working. I stumbled upon the solution of disabling the second slot and re-enabling it which brought it to life. 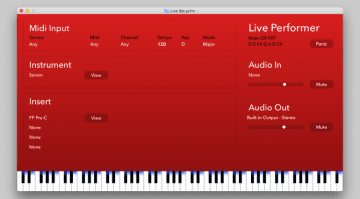 So, it’s a cool little bit of software that can let you play instruments quickly and easily – it just lacks a bit of finish. The fact that it runs purely from the EXE file and doesn’t have an installer is annoying on a Windows machine. Oh and it’s just locked up trying to load another instrument. When it works it’s pretty useful and has level control and even some EQ on the master output. Available now from the Digital Brain Instruments website for OSX and Windows for 32-bit plug-ins.